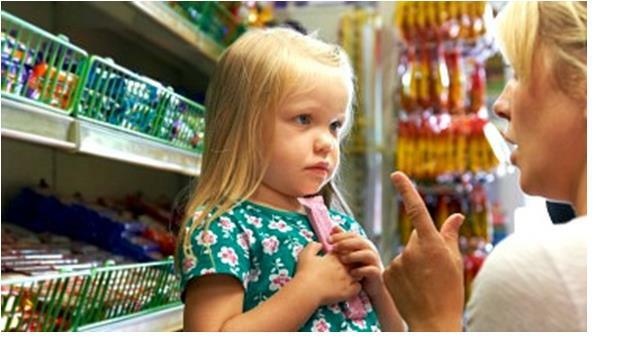 Your child might love sweet treats, but the bacteria in his or her mouth loves them even more. Sugar feeds the bacteria that cause tooth decay and that bacteria produces acid that etches away at tooth enamel. According to the U.S. Food and Drug Administration, people age 3 and older should consume no more than 12.5 tsp. each day of added sugar. The World Health Organization recommends no more than 6 teaspoons of added sugar for adults, and no more than 3 teaspoons for children. Choose snacks with little or no added sugar. Check food labels where you will find sugar listed in grams. One teaspoon of sugar equals 4 grams. Aim for 12 to no more than 50 grams a day. Offer your child water and milk instead of juice, which is high in both sugar and calories. The American Academy of Pediatrics recommends that children ages 1-6 have no more than 4-6 ounces of juice each day. Children ages 7 to 18 should drink no more than 8-12 ounces. Don’t let your child sip on juice throughout the day. This habit puts him or her at higher risk for tooth decay because it gives cavity-causing bacteria more opportunities to eat and produce the acid that eats away at teeth. Skip the soda. One can of soda is the amount of sugar recommended for three days for a child. Avoid sticky snacks. Gummy fruit snacks are more like candy than fruit. Fruit rollups and dried fruit like raisins stick to the teeth longer than some candies. Limit crackers and chips. Many crackers are like cookies with salt. Not only do the carbohydrates in things like crackers and chips break down into sugar, they also tend to get stuck in the tops of your teeth for long periods of time. Be an example. Eat well, brush twice a day for two minutes and floss once a day. If you have concerns about your family’s teeth, Dr. Douglas Angell and the dental hygienists at Angell’s Dentistry will be happy to answer your questions. Angell’s Dentistry is committed to providing each of our patients with a beautiful, healthy smile and unmatched dental care. We invite you to visit our website at: www.angellsdentistry.com. This entry was posted in adolescent dental care, Angell's Dentistry, cavity prevention, children's dental care, diet and tooth decay, diet for healthy teeth, Dr. Douglas Angell, find a dentist Michigan, local dentists Troy MI, Michigan dentists, sugar and tooth decay, www.angellsdentistry.com. Bookmark the permalink.